Quick Wins, Fast Results, Love Tennis! Please Accept Our Invitation for Free Training From Leading Coach, Alison Scott. Enter Your Details for Immediate Access. Enter your name and email to create a Free account. Our UNIQUE process helps you know what you can improve Now! 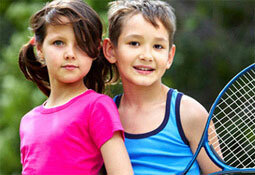 Join with other girls, have quick wins, fast result, and LOVE tennis! Yes Alison, I’d LOVE to Join! We’d LOVE to help you get the same results. Make sure you join today! 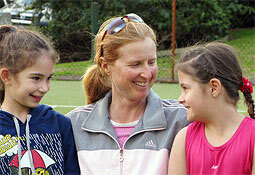 Alison is different from other coaches with a different way of teaching and it’s made me a better tennis player. 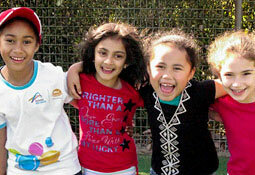 It’s great fun because we learn and play at the same time. My experience has shown you can take up tennis at any age (even when you have never been good at sport!). It has been a great way to improve my fitness, meet new people, and add a new and enjoyable dimension to life. I wouldn’t hesitate to recommend Alison’s tennis lessons! My two girls are having an absolutely fabulous time. They both tell me that they’ve learned a whole lot of new skills and now LOVE tennis! So whatever magic you do, it’s working! Maria Spies Mother of 2 girls who now LOVE tennis!